Snapchat is one application which has become so popular over the last few months that everyone is completely into it. It is a video messaging app for smartphones that allows users to send and receive pictures, videos and messages. Each sent pictures or videos are called “snaps”- just to make a trend. But other then this the thing which made this app gaining so much popularity is its feature which removes the uploaded pics, videos after the matter of time. It can be a complicated procedure for many to download all the pictures or videos by the methods stated by so many. So, for all the people who are looking for the easy way out, here is a list of applications which will let you to save snapchat photos, videos and stories on iOS and as well as on Android platforms. 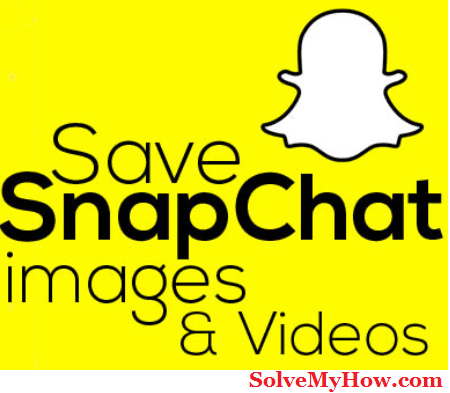 So If you are looking for methods through which you can save snapchat snaps permanently without the sender’s knowledge you are on your way to get that. First lets cover iOS apps and then we will see android apps to save snapchat pics and videos. I have listed 4 best iOS apps 2016 below. You can go though each one to save pics and videos of snapchat. Snapbox is one of the most amazing apps available on iOS platform. SnapBox allows us to save all the Snapchat Photos and Videos in our device permanently. All you need to do is when you receive a snap – Open SnapBox and get inside it with your Snapchat ID and password. That’s it. After you log-in your snaps will be saved in your device. This app is one step ahed of most of the apps available for saving the snaps. Apart from saving photos, videos and stories, you can also send snaps from your photo album. So its providing a kinda replacement for those who like “all in one” concept and also saving your particular amount of time since you don’t have to switch again and again just to upload your snaps. Earlier this app was also used to available for android but its been removed now. Also this app has paid version which is available for $4.99 which helps you to access some premium features! This is more of a replacement for your Snapchat rather than just saving pictures and videos. The application, however, has been removed from the play store on Android for some reason, but it continues to exist on Apple App Store on iOS. The application comes from the makers of SaveMySnaps app. Downloading of snaps is optional in this app but just remember not to view the snaps on the Snapchat app before downloading them. Earlier it was available for android devices only but its now available for IOS users also. So these were the 4 best apps to save snapchat videos, pics and stories 2016 for iOS. Now lets see how to do the same for android OS. Well, Snapchat seems to be more in use in Android applications than on iOS. Hence, saving pictures for the Snapchat users with Android is equally important. Snapchat Saver is an application which allows you to save both pictures and video snaps. Not only snaps, but you can also save stories having photos and videos as well. Please note that snaps should be saved prior to opening them on Snapchat. SaveMySnaps is an Android App. With SaveMySnaps, you can view as well as download snaps. All you need to do is first download the snap you received and then view it. A Snap can only be downloaded before you view it. Downloading of snaps is optional in this app but just remember not to view the snaps on the Snapchat app before downloading them. SnapSave does not only allow you to grab Snaps from Snapchat, but it also serves as a good alternative to it. By using SnapSave, users can save any received Snaps without anyone knowing it. Plus, you can send Snaps directly using this app. In spite of these, some users claim that this app crashes at times so you can use it at your own risk. The Casper app comes from the creator of the SaveMySnaps app. The Casper app is an alternative Snapchat client that does much more than all other apps on this list. The functionality includes the ability to save snaps (photo, videos and stories), forward snaps, apply filters to photos, slide filters, add stickers to photos etc. This app is on its way of becoming the most suitable app for snap saving. Apps are not just only option to save snapchat snaps permanently without the sender’s knowledge. So these were the 4 best apps to save snapchat videos, pics and stories 2016 for Android. You don't always need apps to save snapchat videos and pics. Yes you heard it right. Just on your screencast and record your snapchat videos. So this was all about how to save snapchat videos, pics and stories 2016. I hope you enjoyed reading this article. Do let me know if you have any problem while saving snapchat videos or pics in the comments below. I would glad to help you. You can also subscribe for SolveMyHow newsletter to get latest updates about Android, iOS and tips and tricks tutorials right into your inbox !